There are certain places in the wine world to which I seem drawn back over and over. The Santa Ynez Valley is one of those places. Its rolling terrain, sprawling vineyards and bounteous farm land beckon me each time good fortune takes me there. Denise and I have stopped so many times at fruit stands there for unbelievably delicious strawberries and blueberries. We've even stopped at a winery or two. Insert smiling emoticon here. Kalyra Winery is one of those places in the Santa Ynez Valley from which I can't seem to stay away. 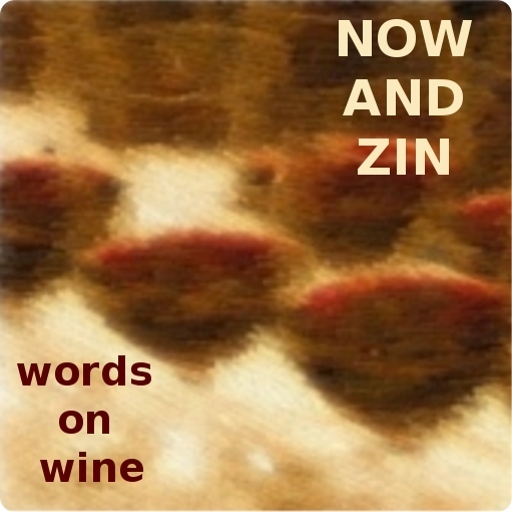 They offer a full line of wines, but I am very partial to their dessert wines. 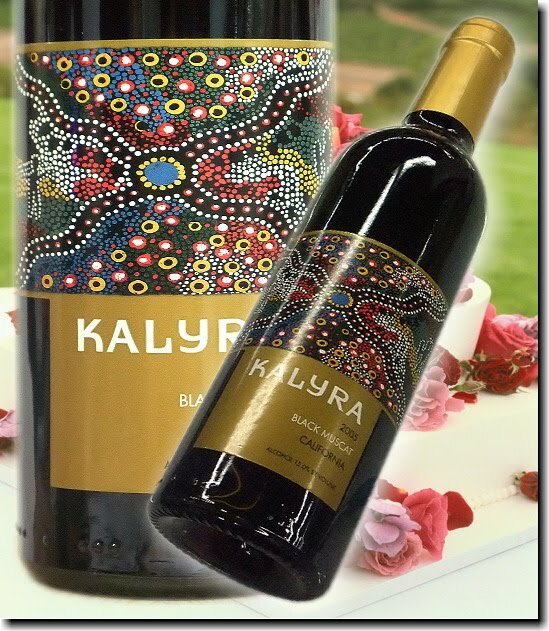 Kalyra's 375ml bottle is adorned by label art which I think of as Australian Surfer Hieroglyphics. The surf motif is in full effect at their winery tasting room in the Santa Ynez Valley as well as at their more recently opened tasting room on Santa Barbara's Urban Wine Trail. 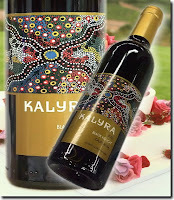 The Kalyra Black Muscat looks rather like a rosé when in the glass. The nose is aromatic and rich. There are notes of licorice candy and candied fruit flavors in there too. The wine tastes somewhat like a port, maybe a young one. It's a very nice and sweet berry flavor that makes a fine dessert on its own, or drizzled over ice cream. It could accompany an aged cheese fairly well, too. It's not as strong as a "real" port, but at 15% abv, it's not weak, either.